Every so often, when we’re struck by a particular theme or subject, we look back through all the wonderful photos that have been submitted to the Torontoist Flickr Pool, and collect our favourites. 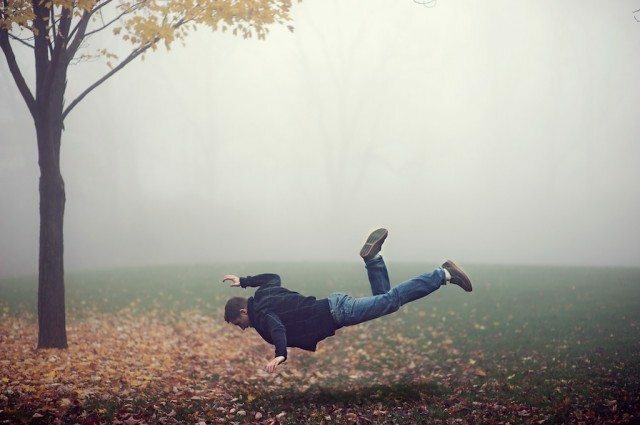 <strong><em>Fall</em></strong> by <a href="http://www.flickr.com/photos/johncavacas/4061051797/lightbox/">John Cavacas</a></span>. <strong><em>Fall window</em></strong> by <a href="http://www.flickr.com/photos/rezavaziri/4057275930/lightbox/">Reza Vaziri</a></span>. <strong><em>Autumn in Toronto</em></strong> by <a href="http://www.flickr.com/photos/jwjensen/4084408308/in/photostream/lightbox/">Josh Jensen</a></span>. <strong><em>Clay Bluff</em></strong> by <a href="http://www.flickr.com/photos/[email protected]/6234873193/in/[email protected]/lightbox/">dunescape</a></span>. <strong><em>Fall Reflected</em></strong> by <a href="http://www.flickr.com/photos/sevennine/4032747364/in/photostream/lightbox/">sevennine</a></span>.<br /> Sunnybrook Park, behind Glendon Campus. 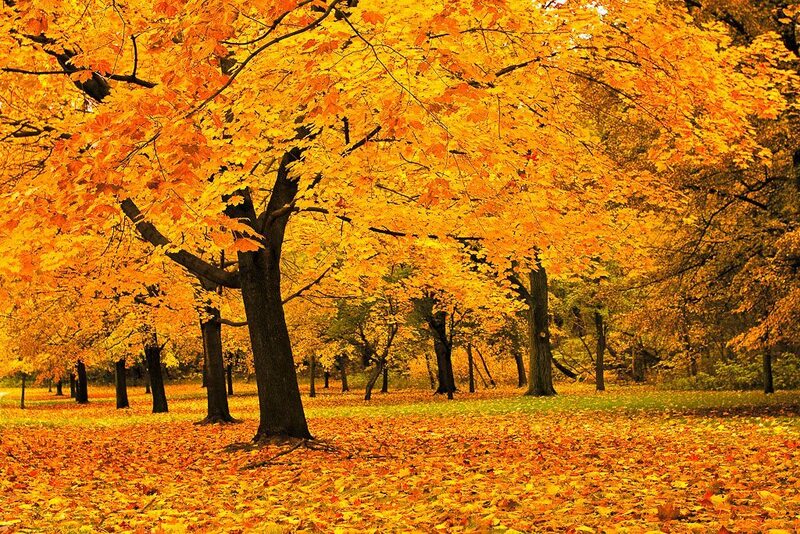 <strong><em>Fall Trees - Toronto Islands</em></strong> by <a href="http://www.flickr.com/photos/snaphappyexpat/4076393955/in/photostream/lightbox/">SnapHappyExpat</a></span>. <strong><em>Summer or Fall?</em></strong> by <a href="http://www.flickr.com/photos/snaphappyexpat/6232763700/in/photostream/lightbox/">SnapHappyExpat</a></span>. <strong><em>Fall Colours</em></strong> by <a href="http://www.flickr.com/photos/awl61/5133916079/lightbox/">awl61</a></span>.<br /> looking southwest from Broadview Avenue. <strong><em>Fall in Toronto</em></strong> by <a href="http://www.flickr.com/photos/bukharov/5225342752/lightbox/">bukharov</a></span>.<br /> Mimico By The Lake. <strong><em>Fall in the Valley</em></strong> by <a href="http://www.flickr.com/photos/smedly/5100506919/in/photostream/lightbox/">Jason Allies</a></span>. <strong><em>Leaside Fall</em></strong> by <a href="http://www.flickr.com/photos/smedly/5073212946/in/photostream/lightbox/">Jason Allies</a></span>. <strong><em>the illusion of balance.</em></strong> by <a href="http://www.flickr.com/photos/gardinergirl/5048896527/in/photostream/lightbox/">gardinergirl</a></span>. <strong><em>Biking Don Valley</em></strong> by <a href="http://www.flickr.com/photos/thru_the_night/6233186678/in/[email protected]/lightbox/">Kiril Strax</a></span>. <strong><em>untitled</em></strong> by <a href="http://www.flickr.com/photos/hsien277/6219020491/in/[email protected]/lightbox/">HSien‧阿顯D</a></span>. <strong><em>The rinks are cooling off...</em></strong> by <a href="http://www.flickr.com/photos/[email protected]/6224367341/in/[email protected]/lightbox/">Allan Bedford</a></span>. <strong><em>Etobicoke Creek Trail In Autumn</em></strong> by <a href="http://www.flickr.com/photos/keith_watson/5105688916/lightbox/">Keith Watson aka Keith Watson</a></span>. <strong><em>autumn trees</em></strong> by <a href="http://www.flickr.com/photos/sarnya/2966184759/lightbox/">sarnya</a></span>. <strong><em>Autumn Finery</em></strong> by <a href="http://www.flickr.com/photos/oldcurmudgeon/4041124288/in/photostream/lightbox/">Still The Oldie</a></span>. <strong><em>Autumn in the Scarborough Bluffs</em></strong> by <a href="http://www.flickr.com/photos/ablankface/4023999818/lightbox/">ablankface</a></span>.<br /> Scarborough Bluffs. <strong><em>Leaves in a gutter</em></strong> by <a href="http://www.flickr.com/photos/ryankelpinphotography/6241147387/in/[email protected]/lightbox/">Ryan Kelpin</a></span>. <strong><em>High Park in autumn, Toronto 2.0.</em></strong> by <a href="http://www.flickr.com/photos/peter-grevstad/6243815089/in/[email protected]/lightbox/">Peter GrevstadE</a></span>. <strong><em>Fall Colour</em></strong> by <a href="http://www.flickr.com/photos/torontopaul/5092588476/in/photostream/lightbox/">Paul Flynn</a></span>. <strong><em>Metal in Fall</em></strong> by <a href="http://www.flickr.com/photos/[email protected]/4062129330/in/photostream/lightbox/">Steve 16:9 </a></span>. <strong><em>I can feel the Fall</em></strong> by <a href="http://www.flickr.com/photos/fillinmyblanks/6122864356/in/photostream/lightbox/">Fion N.</a></span>. <strong><em>Fall Toronto</em></strong> by <a href="http://www.flickr.com/photos/-evidence-/5068809654/lightbox/">~EvidencE~</a></span>. <strong><em>Fall Glory</em></strong> by <a href="http://www.flickr.com/photos/mcl_digitalcreations/5065651047/lightbox/">Muriel L</a></span>. <strong><em>fallen glory</em></strong> by <a href="http://www.flickr.com/photos/mcl_digitalcreations/5065681175/in/photostream/lightbox/">Muriel L</a></span>. <strong><em>Fall Walk - # 2</em></strong> by <a href="http://www.flickr.com/photos/subjective_art/6233375003/in/[email protected]/lightbox/">Subjective Art</a></span>. <strong><em>Fall Walk</em></strong> by <a href="http://www.flickr.com/photos/[email protected]/6232922042/in/[email protected]/">swiminto</a></span>. <strong><em>Miniature Display of Autumnal Colours</em></strong> by <a href="http://www.flickr.com/photos/katrins/6228806338/in/[email protected]/lightbox/">Katrin Shumakov</a></span>. Though summer returned for an encore performance over the recent Thanksgiving weekend, there’s no denying that it’s time that we reckon with the autumn weather. Autumn tends to have a poor reputation: summer vacations are over, outdoor pools shut down, patios start closing up, the festival season is over, and it’s starts to get, like, you know, cold. In defense of autumn, we want to remind you that there is still plenty to look forward to as the temperature continues to drop. For instance, autumn is an ideal time to enjoy delicious local seasonal produce in that adorable sweater you purchased over the summer but couldn’t justify wearing in 20+ degree heat. Also, the city becomes speckled with colour as leaves turn from green to bright yellows, oranges, and reds—this time of year is arguably the best time to get out into the Toronto wilderness. However, if you happen to be more of a “wilderness-from-the-comfort-of-your-own-home” enthusiast, here is some eye candy to wile away the afternoon.